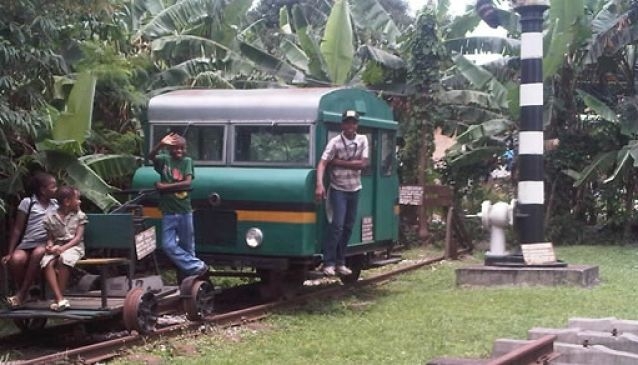 The idea of the railway museum was sparked off in Novermber 1997, when a historical and environment interest group, Legacy1995 visited the then sole administrator of the Nigerian Railway Cooperation. Subsequent discussions of this meeting led to a proposal to facilitate the establishment of the Legacy Railway Museum at Ebute-Metta railway compound for the preservation of some of the historical items belonging to the NRC. In December 1997, the NRC and Legacy1995 formed a joint committe to undertake the project which included the preservation of the old carriage wagon, running shed and the workshop building which will be converted to the railway museum. Old stream locomotives, steam cranes, special VIP coaches and three buildings weere also included; one of which is the 'Jaekel house' that serves as the mini museum. The Jaekel house is about 100years old and was used by the first General Manager of the Nigerian Railway. It presently houses photos that simultaneously tell the story of the Nigerian Railway since inception and also the economic history of Nigeria. A few physical items that will interest, impact knowledge and raise the appreciation of the public are also kept here. Admission is N200 per adult and N100 per child.